Millions of Christians have struggled with how to reconcile God's love and God's judgment: Has God created billions of people over thousands of years only to select a few to go to heaven and everyone else to suffer forever in hell? Is this acceptable to God? How is this "good news"? Troubling questions so troubling that many have lost their faith because of them. Others only whisper the questions to themselves, fearing or being taught that they might lose their faith and their church if they ask them out loud. 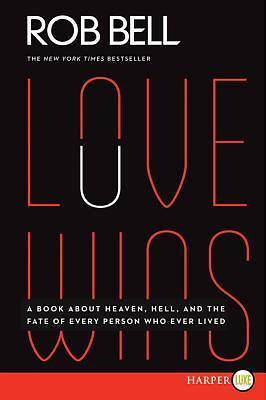 Author, pastor, and innovative teacher Rob Bell presents a deeply biblical vision for rediscovering a richer, grander, truer, and more spiritually satisfying way of understanding heaven, hell, God, Jesus, salvation, and repentance. The result is the discovery that the "good news" is much, much better than we ever imagined.